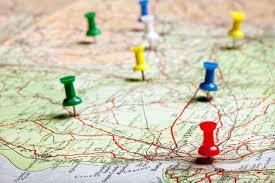 Many members tell us that they aren’t even getting to make friends with other members because of where they live – i.e. they live too far away from the person they’ve contacted. At which point John tells her where he lives and she immediately says “That’s too far away” and the conversation is ended. Now Susan doesn’t know anything about John, but just where he lives. She makes her judgement about whether he’s worth getting to know purely on where he lives now. She doesn’t yet know if he’s kind, gentle, funny, loving, or anything else about him like whether he shares any of her interests or what sort of faith he has. And she doesn’t even have the ability to find out now about any of those things because she’s already closed the door on him. I am the first to acknowledge that making friends with someone who lives any more than an half an hour’s drive away isn’t as easy as making friends with someone that lives in the same town as you and whom you can meet for a cup of coffee. But there’s a wealth of evidence that goes to show that people who like each other – will travel to see each other – in fact they’ll move heaven and earth to travel if necessary. In fact a friend of mine’s husband’s father has just died and at his funeral some people travelled from Canada to Leicester to be there – and they weren’t even going to get to see him. That’s what love does – it removes the ‘distance barrier’ because the ‘love’ factor is greater. But if you can’t even find out about someone before you’ve asked them where they live, you squash any chance of finding out if you like them (let alone if they might be someone that one day you’ll love!). So resist the temptation to find out where someone lives. Yes read that again, RESIST the temptation. Rather determine to find out 5 things about them, before asking where they live. You might just be really surprised at what you find out – and at your reaction to how you feel when they do eventually tell you where they live. Let’s suppose you’ve found out they are a great listener, they’re really kind, they’ve made you laugh and they have a similar passion for their faith as you have for yours. Now your interest is peeked – you want to know more and you might even want to meet them. OK so now you find out they live further away than you’d have liked. What will your mind do now? Rather than just rejecting them out of hand, your mind will be working out when you might be in their part of the country or how you might be able to get to meet them. You’ll be ‘problem solving’ this little problem rather than rejecting them out of hand. In many ways asking where someone lives as your first question is like going to a party and someone asking what you do for a job. It’s one of my pet hates because what I’ve discovered is that if I say I’m a ‘cleaner’ I get a very different response to if I say I’m an ‘astrophysicist’. Why is that? It’s because people are judging me on what I do, rather than on finding out anything about me and my character. Really what’s happening is they are putting me in a box – and assuming that when I say I’m a cleaner – I’m not very well educated and probably haven’t got very much to talk about. However when I say I’m an astrophysicist they assume I’m really clever, probably have lots of degrees and have lots to talk about. Both are untrue – as you know! And in exactly the same way – judging someone as being unsuitable because of where they live – is equally wrong. I’d even go as far as to say you should totally ignore where someone lives (and withhold that information if they haven’t had your profile!) because what does it matter where they live? If you get on with them, you’ll make it work (as so many of our successful couples have proved) and if you don’t like them based on their character, then it doesn’t matter if they live 5 minutes from you or 500 miles!!! So it’s all about skill here – you have to be skilful in your conversations – both when initiating them and when being on the receiving end of a contact. The skill is getting across your wonderful self and your character so that people get to know you before they’ve found a fairly ridiculous reason to discount you. This isn’t easy I know but it’s important, and it could have a major impact on your future. I know I’m right about this – because I’ve talked to so many members who ring me up to say they’ve got engaged and when I see their notes and look at who they’ve got engaged to, often what I find is that they too were adamant they didn’t want to meet someone ‘far away’ but lo and behold this person they are engaged to is ‘far away’ and when I ask what changed their mind, they start talking about the wonderful character of this person, how they’ve fallen in love, can’t not be together etc etc etc – and when I question the distance I generally hear – well yes there was a distance between us, but we got over it or it became irrelevant. Quite clearly love has taken over – and it’ll most likely be the same for you too, if you just give it a chance. So it’s worth giving this some thought – spend a bit of time reflecting on the conversations you are having and see if you can improve them in the ways I’ve indicated here. You have everything to gain, and very little to lose.